GAP Consulting is here to help your small business with just about anything you might need assistance with. We know that you are good at what you do…but there are lots of other things required to run a successful business these days and we are here to help you with whatever else that you might be struggling with. The way marketing is being done today is changing rapidly, seemingly almost daily. You may need a partner who can help you with these changing times, and that's where we come in. 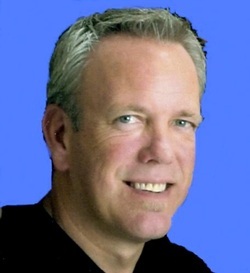 GAP Consulting was founded by Gregg Ponath, a longtime (40+ yrs) resident of the Sacramento area and has been a sales and sales management specialist for most of that time. Because of that, Gregg has developed a passion for small business and the plight that they are under in today’s challenging economic times. Helping you be found by customers who seek what you can provide is what we do everyday. Today that certainly means a suitable web presence. It means a website that translates well to mobile devices, since more than half of potential clients and customers will seek to find you via a mobile device. We can provide you with a custom website and make sure it gets seen by the folks who would be your best customers. And we do that very affordably and quickly. If we don’t have the answer we can get it. We have systems and methods to help that are cost effective and helpful. Our goal is to boost your bottom line, not drain it with expensive trials that don’t work. Call or write to us today and let’s get you on the fast track to added profits and efficiency! * GAP Consulting is a Certified Partner with Yext. Yext is a New York City technology company that gives businesses control over the digital knowledge about people, places, products across the digital ecosystem.